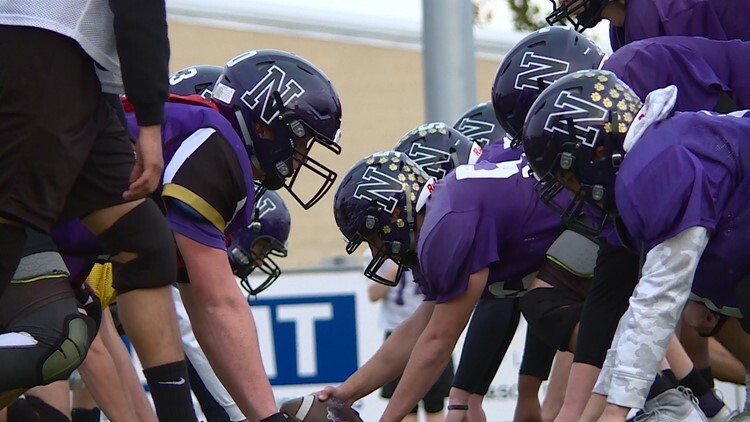 The Navarro Panthers football program has a winning tradition and a game on Friday with a spot in the state semifinals on the line. For the seventh straight year, Navarro has picked up 10 wins in a season. Now it's time to reach the Texas state semifinals for the second time in three years. "They seem to grow together more as the season goes by," first-year head coach Rod Blount said. "Hard-working kids who are playing together, for each other and getting better each week." The team has rattled off three straight wins since the rough performance at Cuero on November 2. The Gobblers won that game 43-7, so the Panthers know exactly what to expect Friday night and hope for some redemption on a neutral field. "The kids are ready for it. They've been working to get back to this game and their excited to get the opportunity," Blount said. Navarro is 10-2 during the 2018 football season. Blount came to Geronimo from Mathis High School, where he held a 33-18 record as head coach. During his four-year tenure, he took that program to a Class 3A Division I state semifinals in 2015. He was happy with the Pirates, but was ready for what the Panthers faithful had in store for him. "This is a great community and since I got here, the support from everywhere has been awesome," Blount said. "Everybody in town has been helping out--the same with the kids. Coming in, [the players[ already had the work ethic. We pushed them, they were ready to work and they responded well to it." Friday night's game against Cuero is a 7:30 p.m. kickoff from Comalander Stadium.